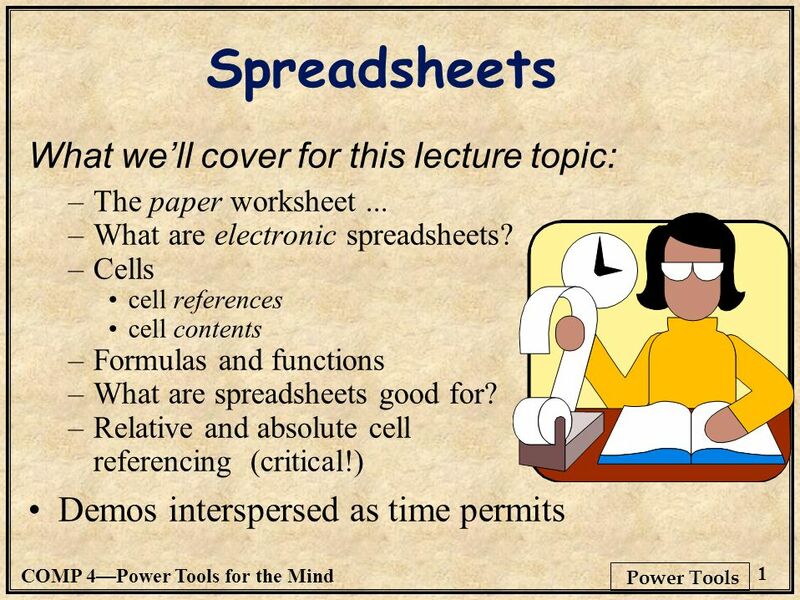 COMP 4—Power Tools for the Mind 1 Power Tools Spreadsheets What we’ll cover for this lecture topic: –The paper worksheet... –What are electronic spreadsheets? 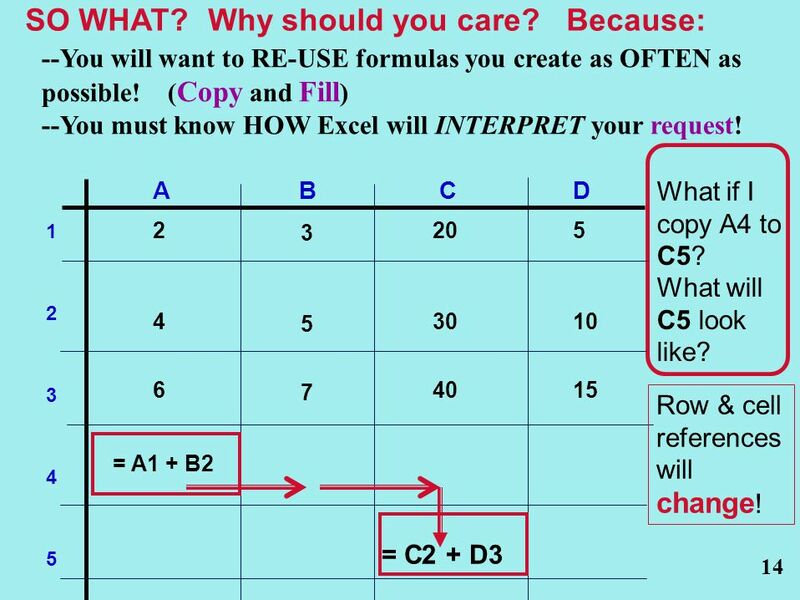 3 The electronic spreadsheet The paper worksheet Worksheets were used in many businesses for inventory management and accounting. 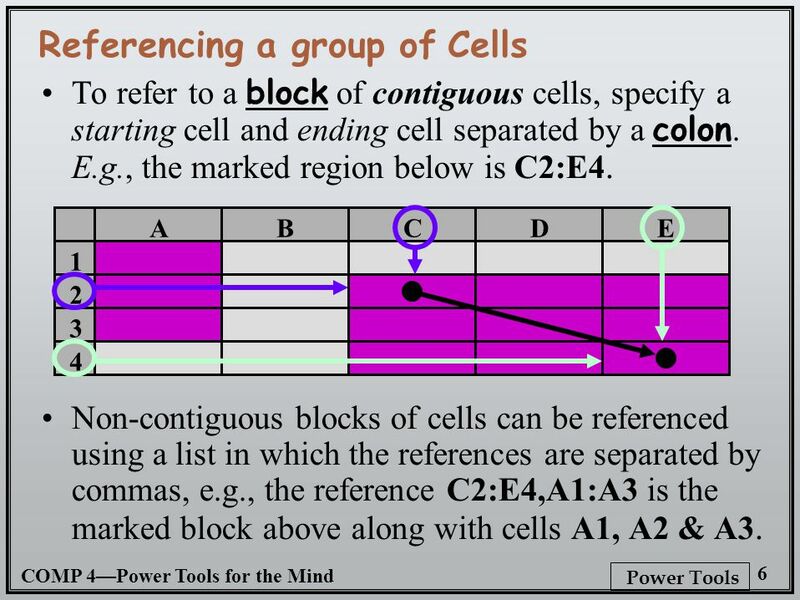 Key feature: columns to separate different types of information (‘fields’). 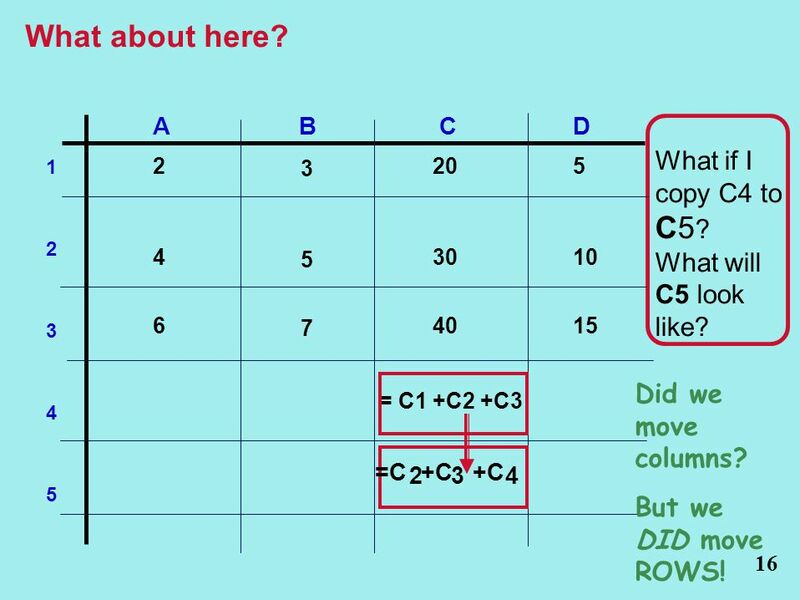 Because columns sizes varied depending on the use, many formats were available. 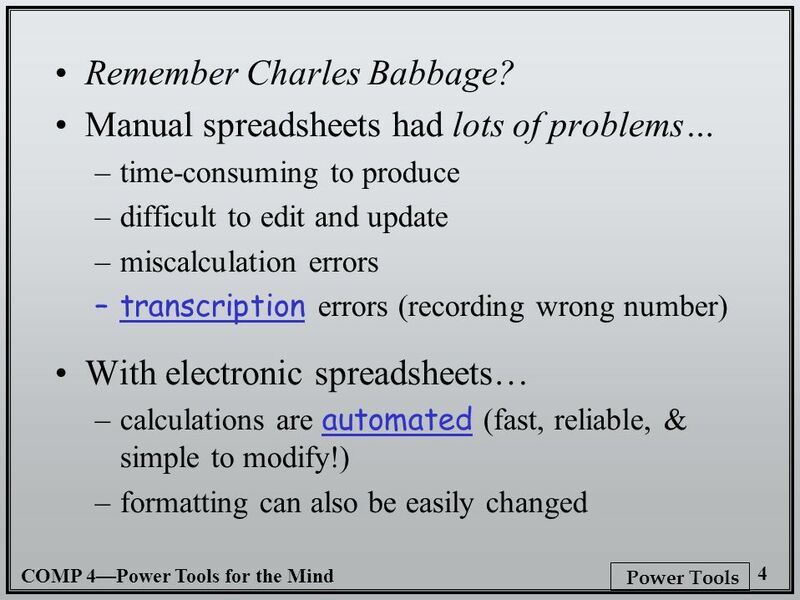 Accounting Ledgers (Items, debits, credits, tax info…) Inventory (Items, #in stock, supplier, wholesale $, retail $...) Payroll (Name, SSN, job title, mailing address, salary…) BOTTOM LINE BOTTOM LINE : Lots of paperwork and calculation! 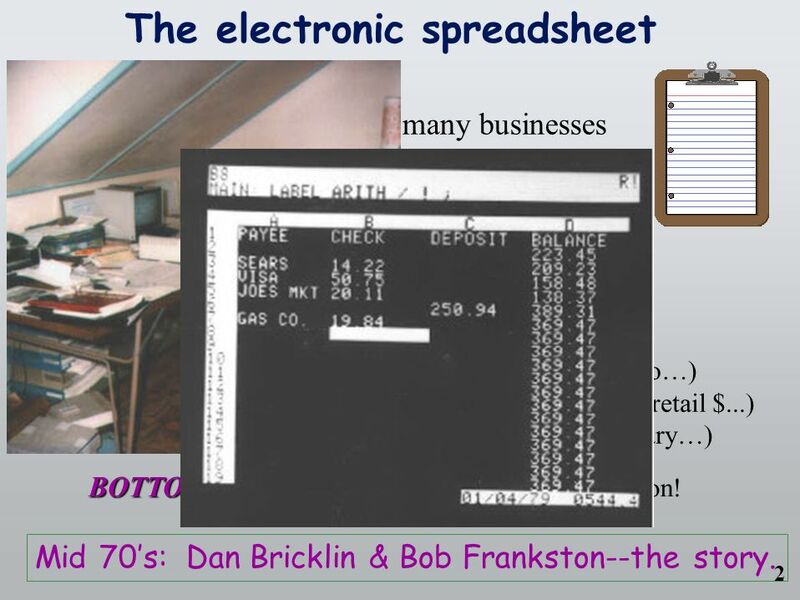 2 Mid 70’s: Dan Bricklin & Bob Frankston--the story. 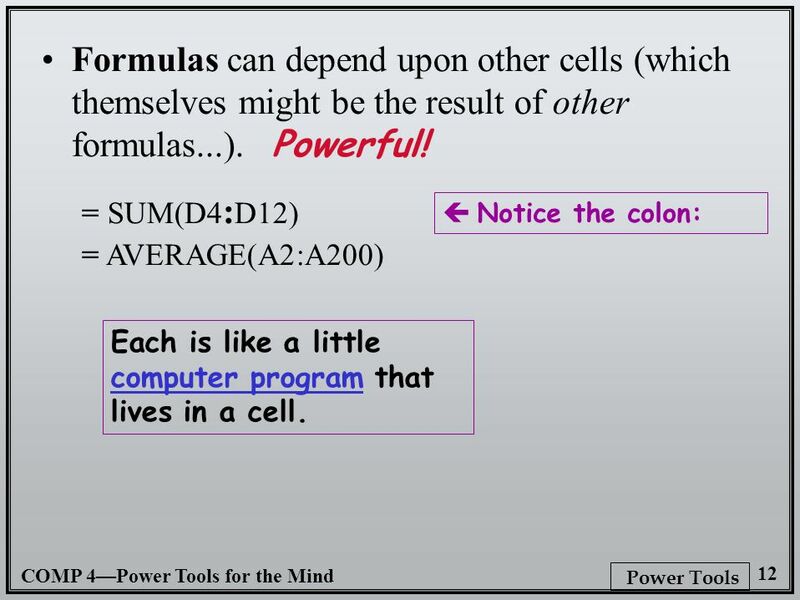 8 COMP 4—Power Tools for the Mind 7 Power Tools So what’s it good for? 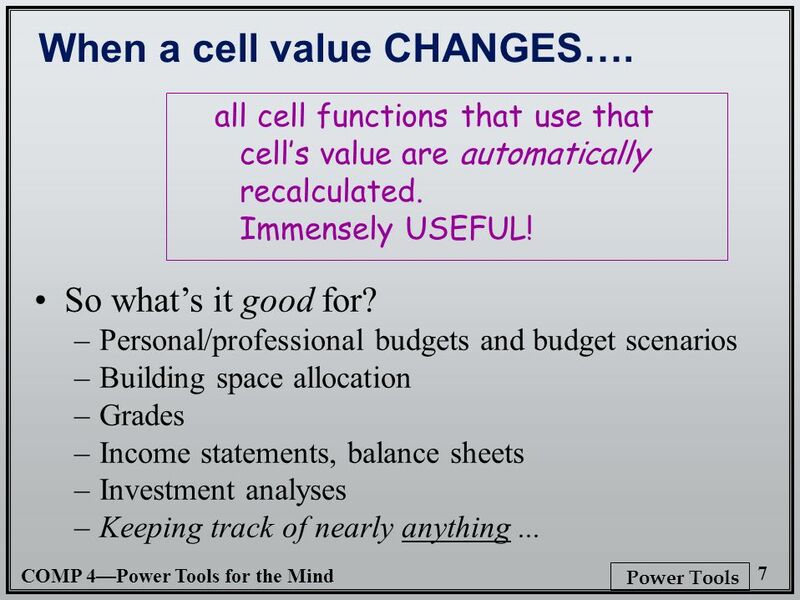 –Personal/professional budgets and budget scenarios –Building space allocation –Grades –Income statements, balance sheets –Investment analyses –Keeping track of nearly anything... all cell functions that use that cell’s value are automatically recalculated. 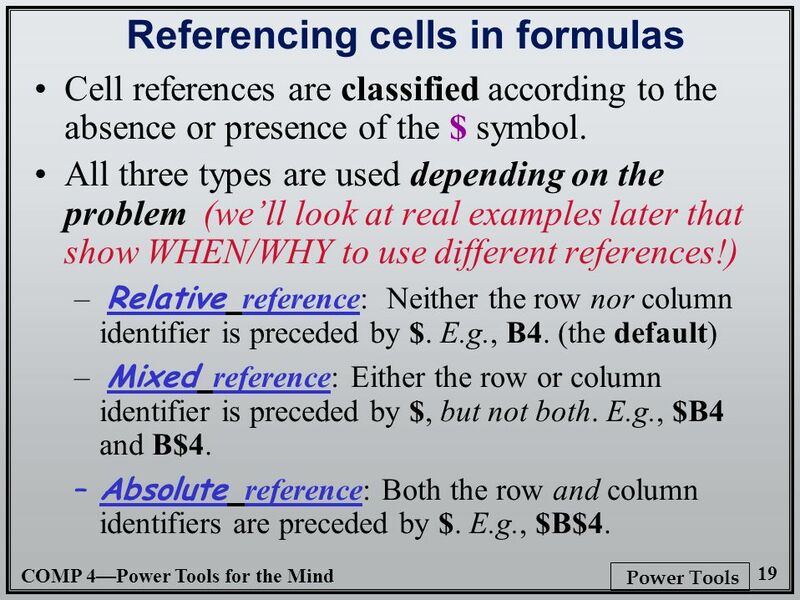 Immensely USEFUL! 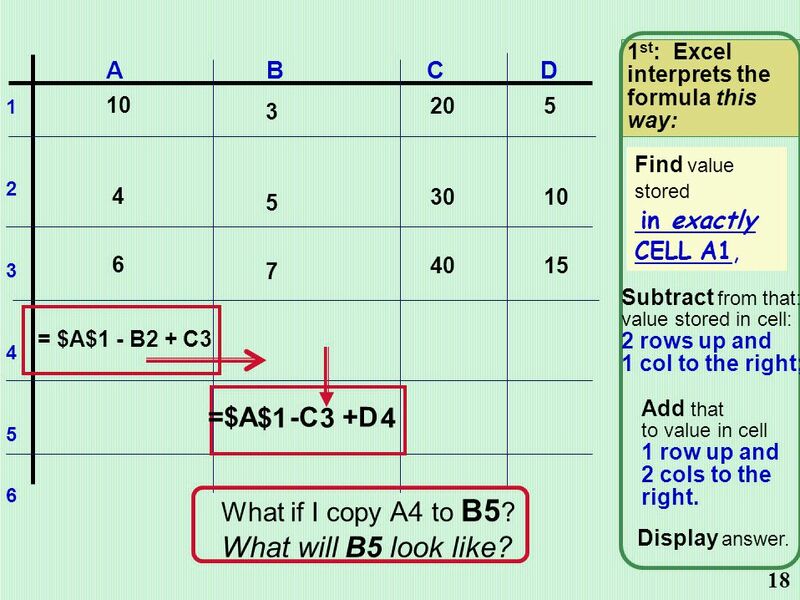 When a cell value CHANGES…. 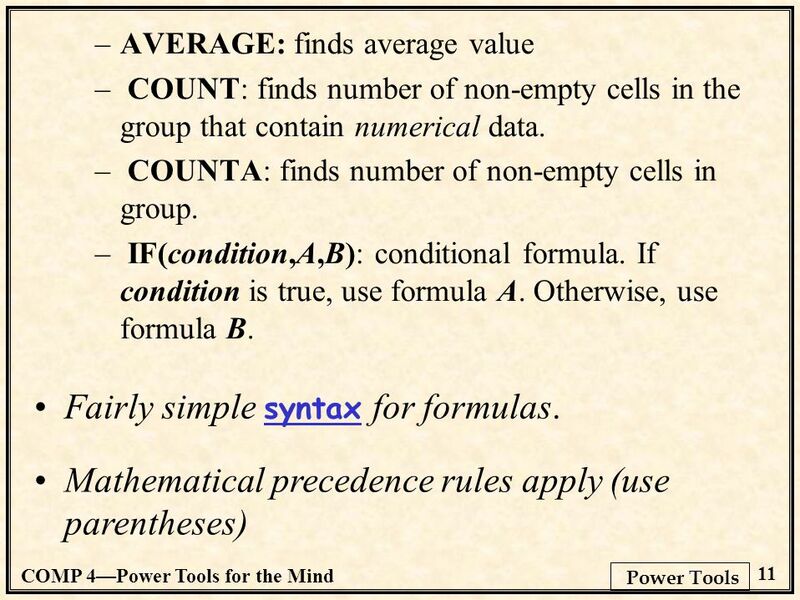 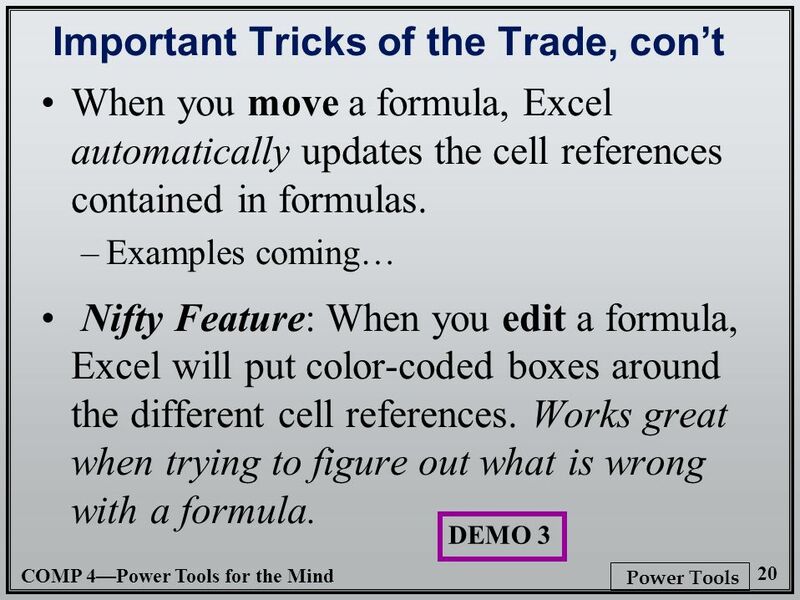 Download ppt "COMP 4—Power Tools for the Mind 1 Power Tools Spreadsheets What we’ll cover for this lecture topic: –The paper worksheet... –What are electronic spreadsheets?" 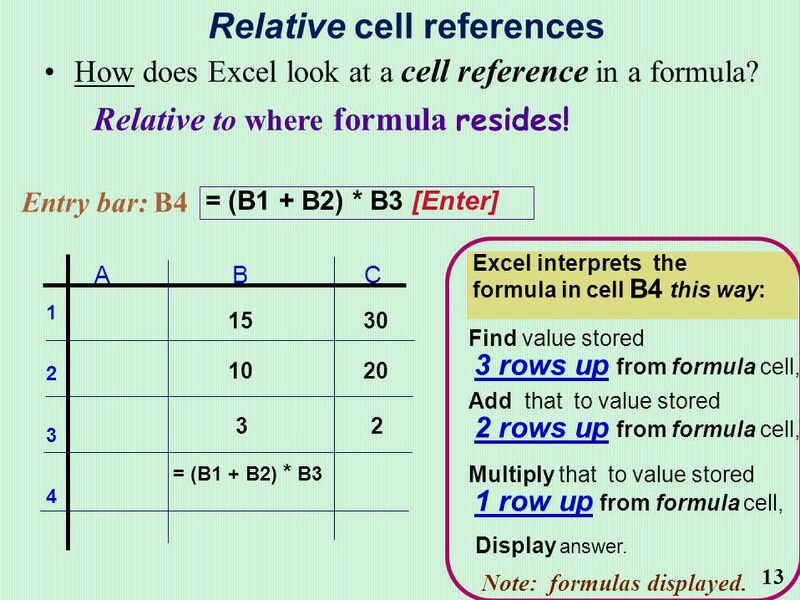 1 NCDesk Spreadsheet % OF THE TEST WILL BE SPREADSHEET QUESTIONS. 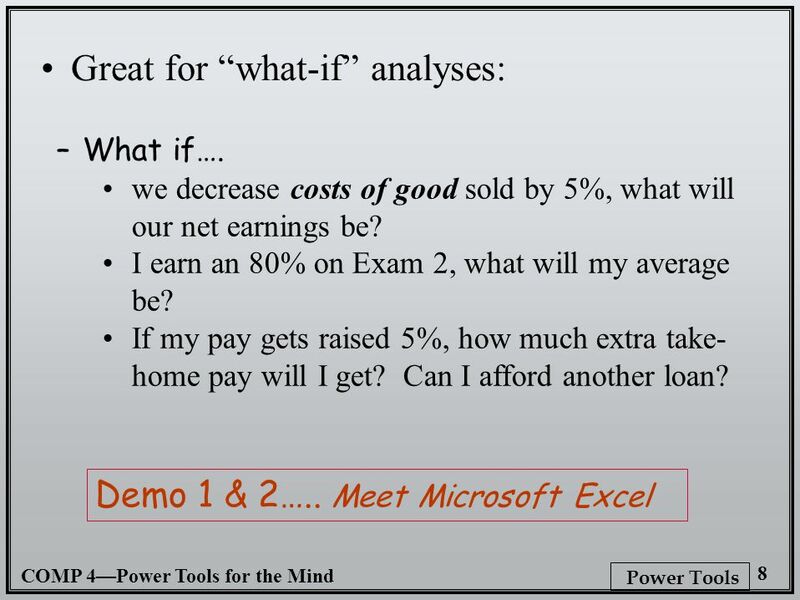 Excel Features That Would Help You Prepare Class Result. 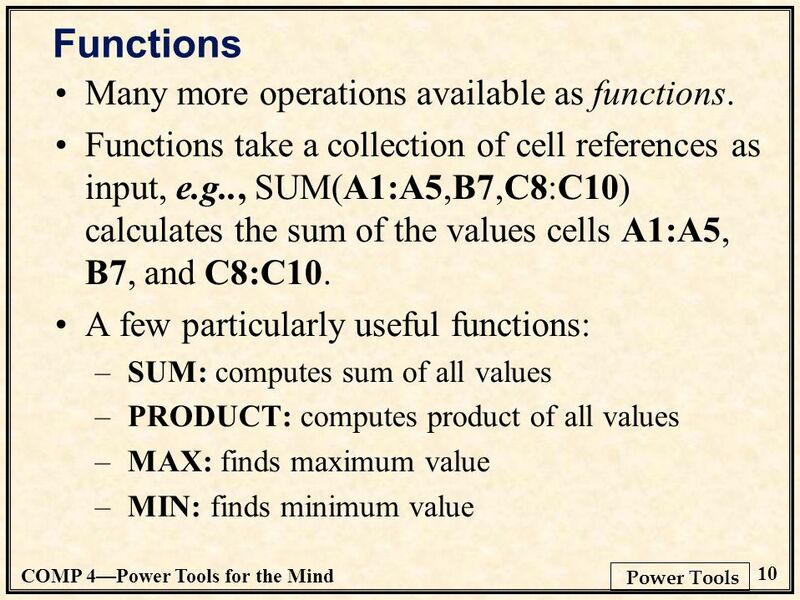 © Keith Vander Linden, How did you ever do without it? 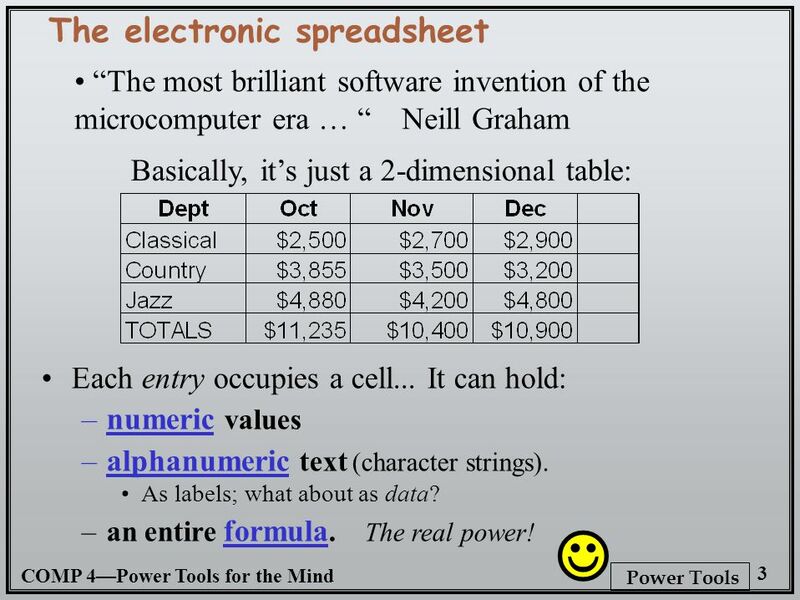 - from the first VisiCalc ad, 1979. 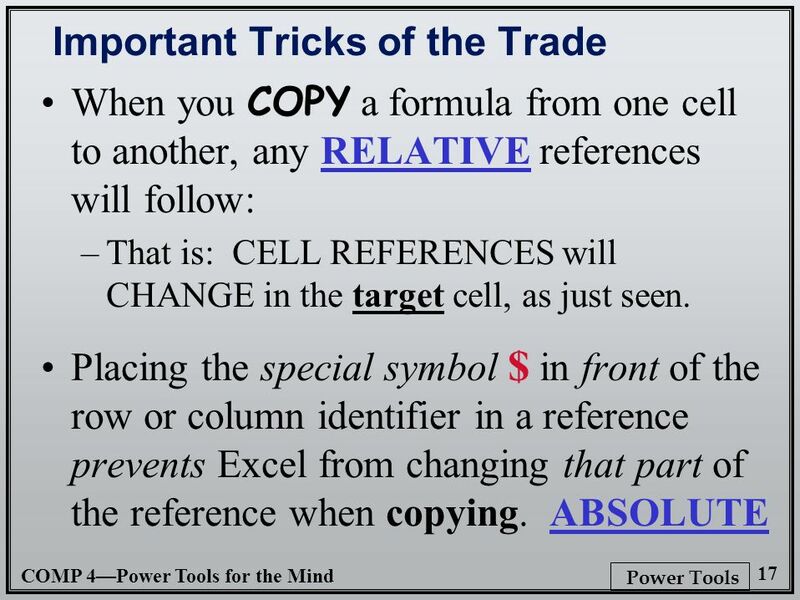 ACOT Intro/Copyright Succeeding in Business with Microsoft Excel 2010: Chapter1. 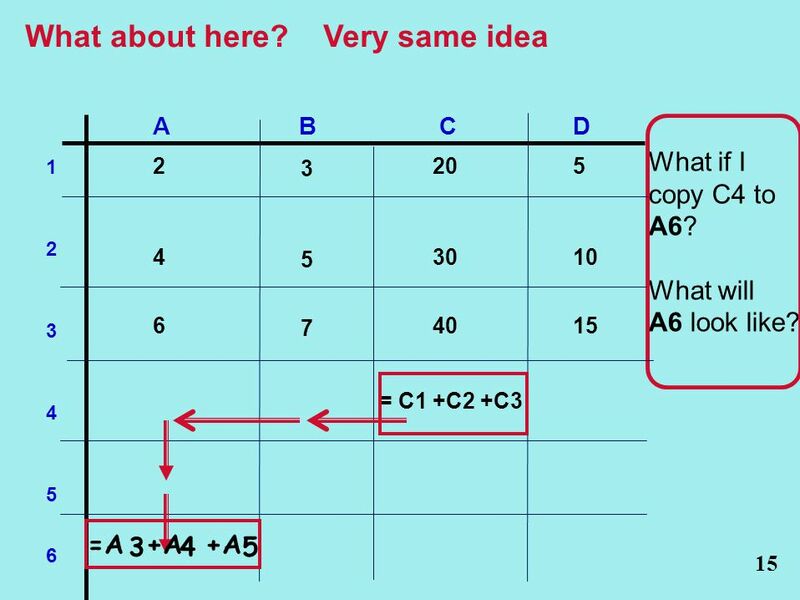 Using Google Sheets To help with data. 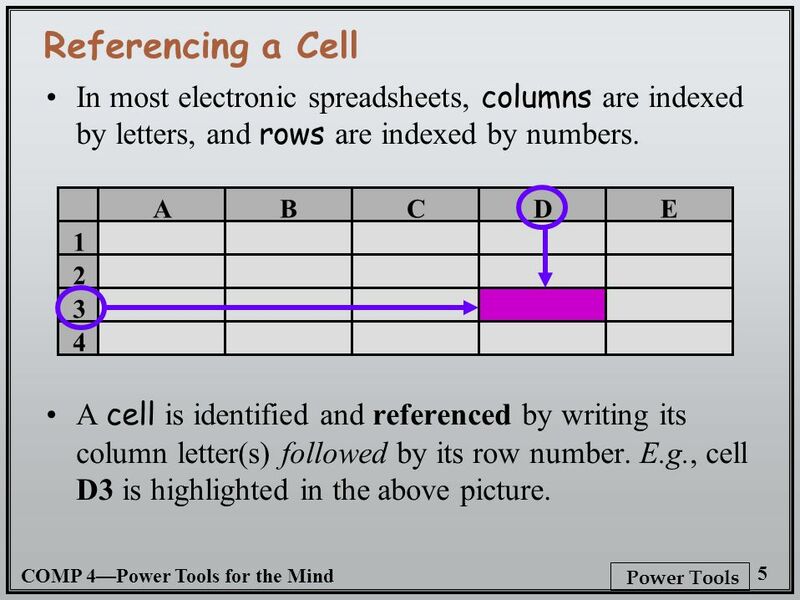 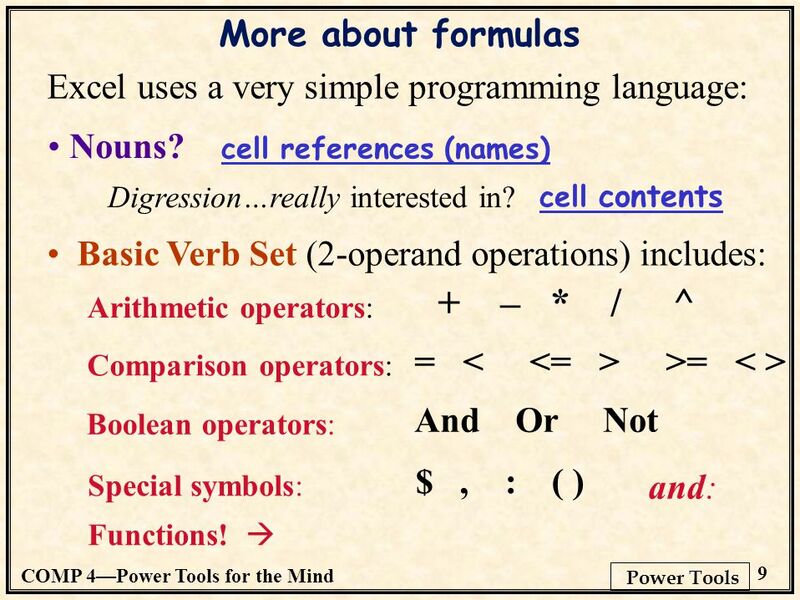 Sheets is a spreadsheet program that can interface with Docs, or Slides A spreadsheet program has cells (little.